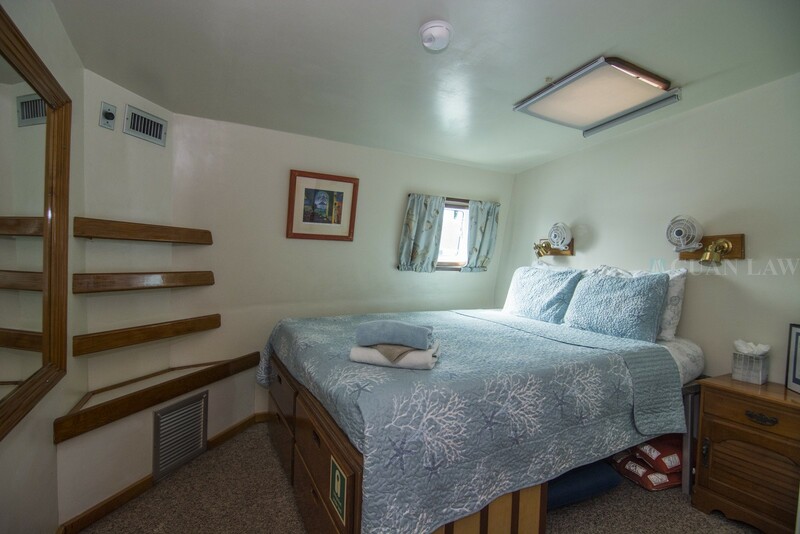 All 10 staterooms have their own private bathrooms, individual air conditioning and each can be configured with either 1 queen or 2 twin beds. 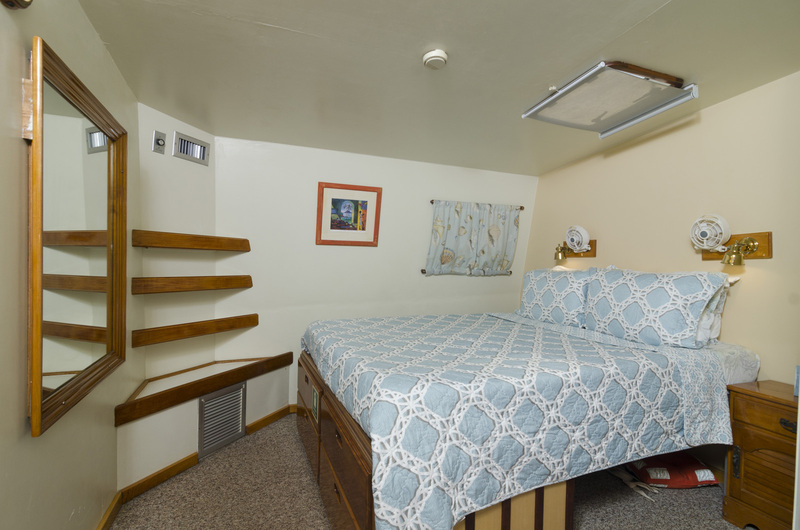 They all have side and ceiling hatches too if you prefer the gentle Caribbean breezes. 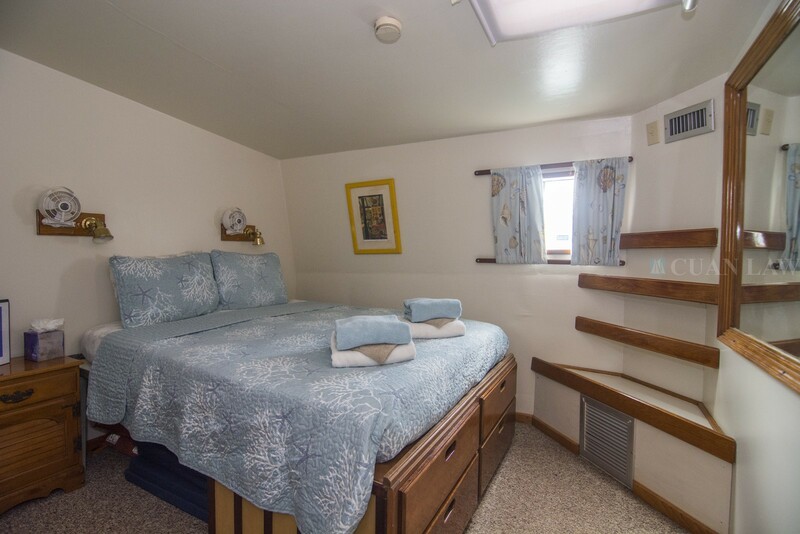 Roomy, light and airy staterooms! 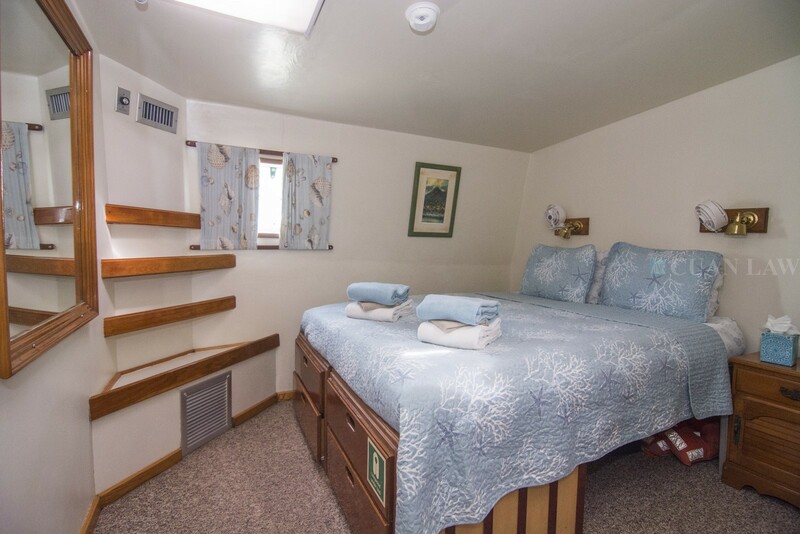 All 10 staterooms have their own private bathrooms, individual air conditioning and each can be configured with either 1 queen or 2 twin beds. 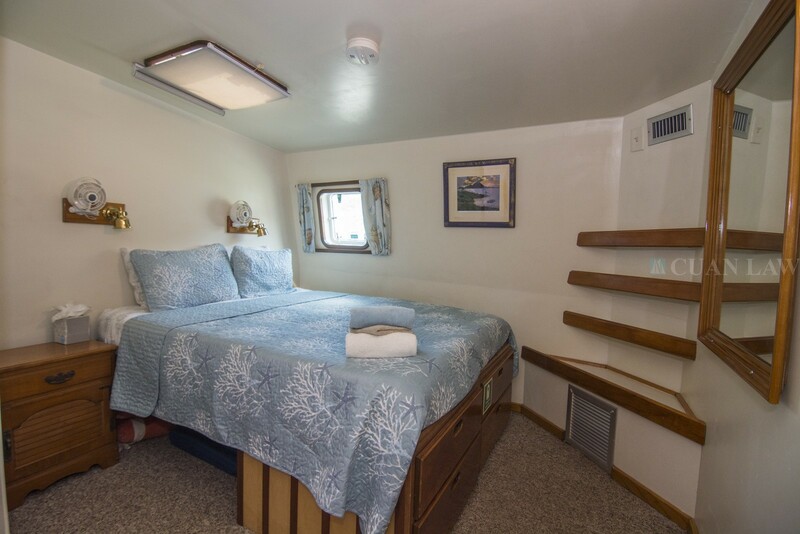 They all have side and ceiling hatches too if you prefer the gentle Caribbean breezes. 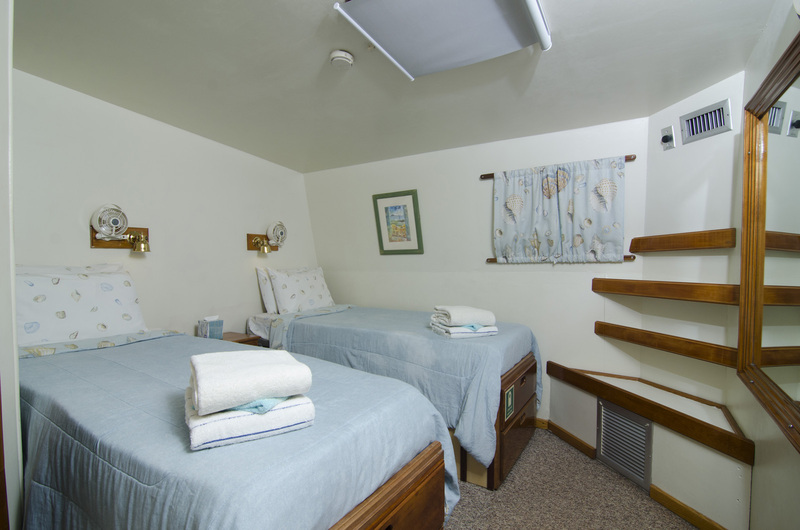 Each of the spacious rooms are very similar in size so it is impossible to say whether there is a "Best" one! 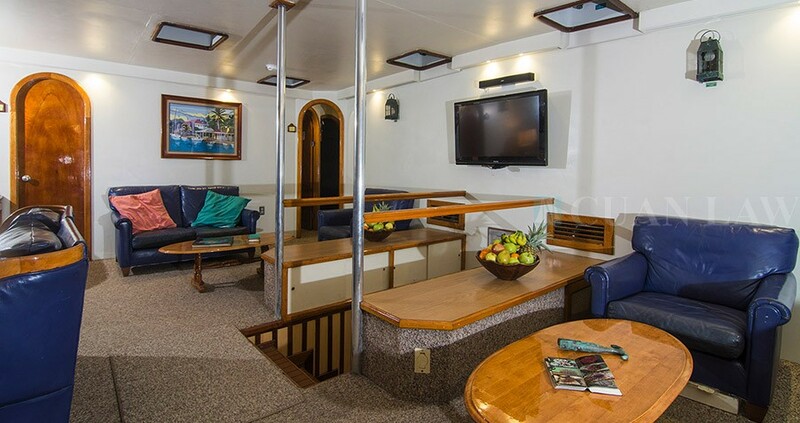 Many guests like #1 and #10 as they are the closest to the aft deck, the diving and the dining. 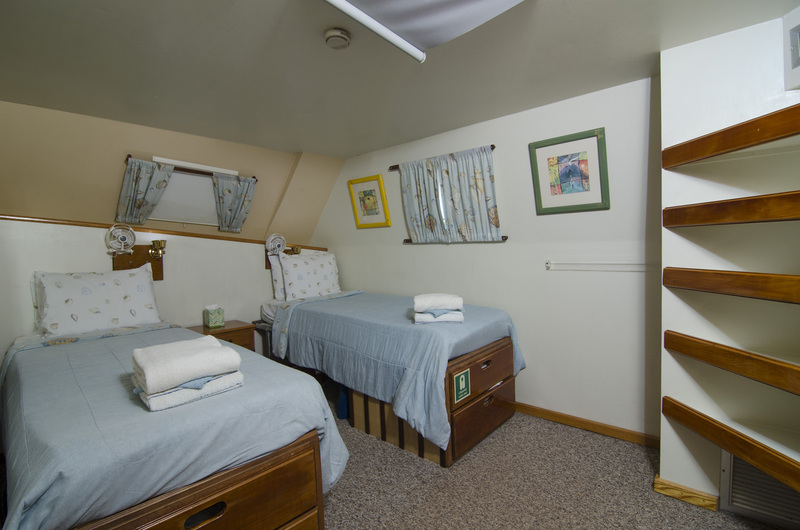 Some like the corner cabins #4 and # 7 and others like the very easy access to the main salon from #2 and #9. 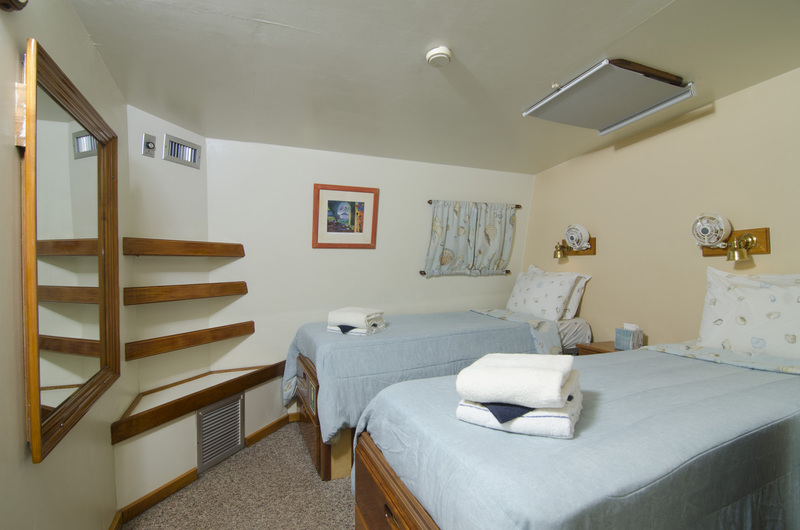 Relax in this huge air-conditioned lounge. This is where you can help yourselves to tea, coffee, juices, iced water, sodas, beer and mixed drinks as well as fruit and nibbles - all available throughout the day. 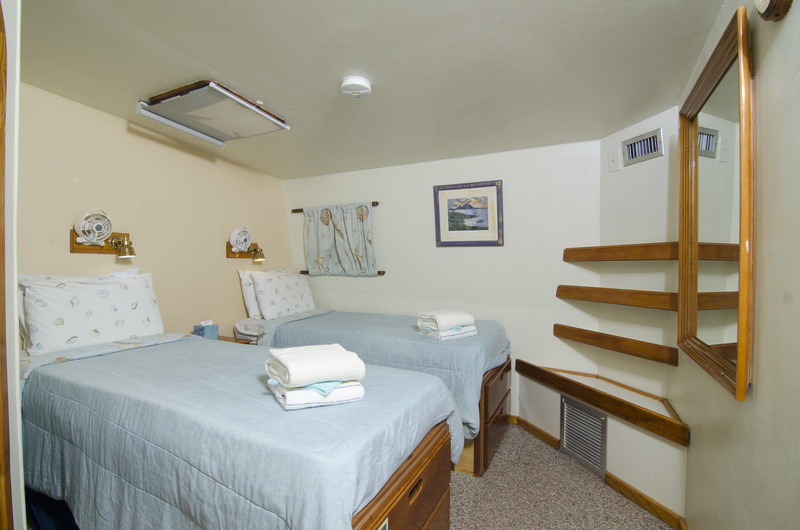 Things can get lively here when guests break out the board games too! 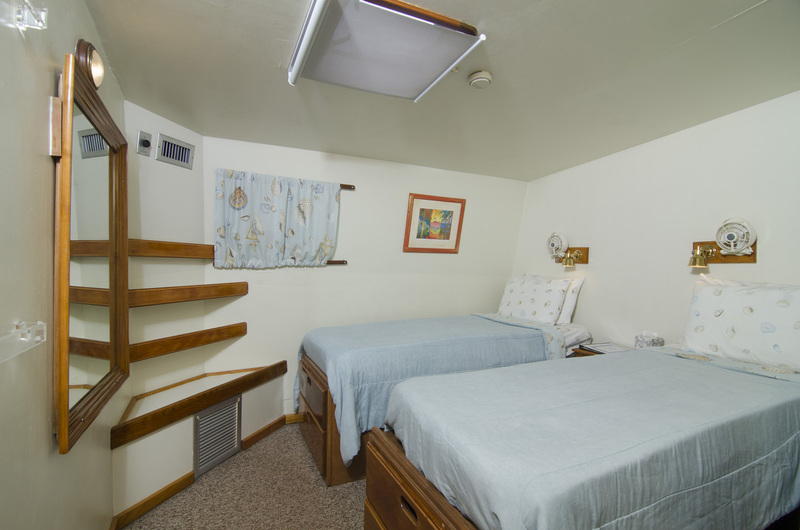 Spacious and air conditioned, this a great area for socializing. 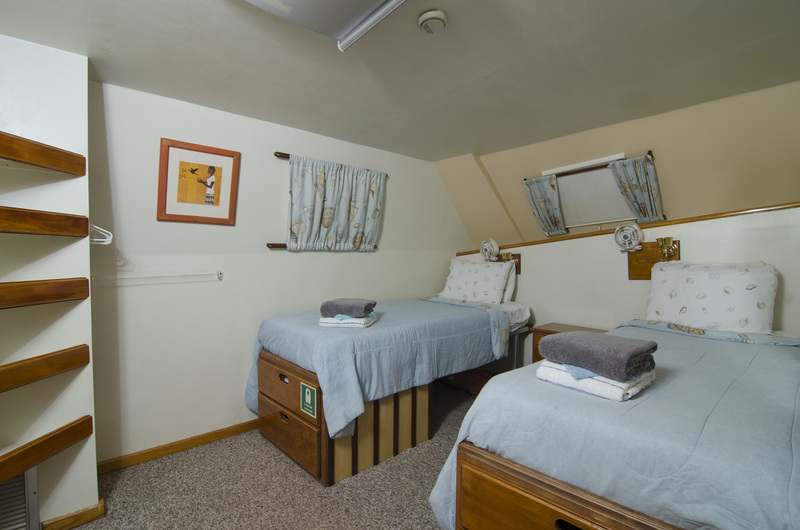 While many yachts need to use the main salon for dining, on the Cuan Law this area is open and available to you throughout your entire trip. 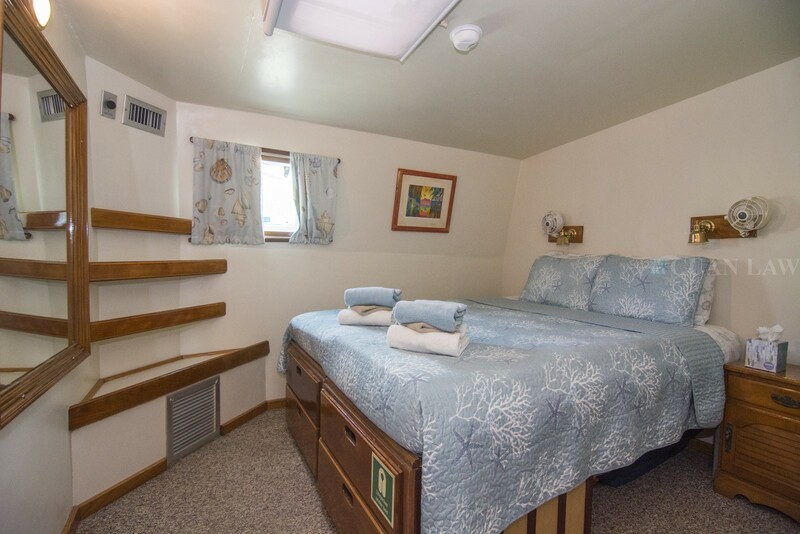 Chill here in the shade with a book or chat and compare tales with your gang while the crew keep you comfortable. 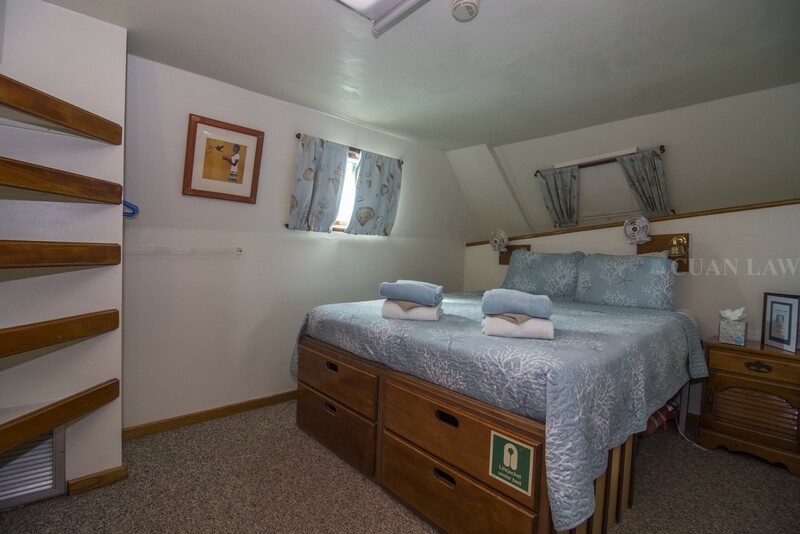 When we are at anchor this is the spot for the sun worshipers - we have cushioned deck mats for everyone which can also double as yoga mats. 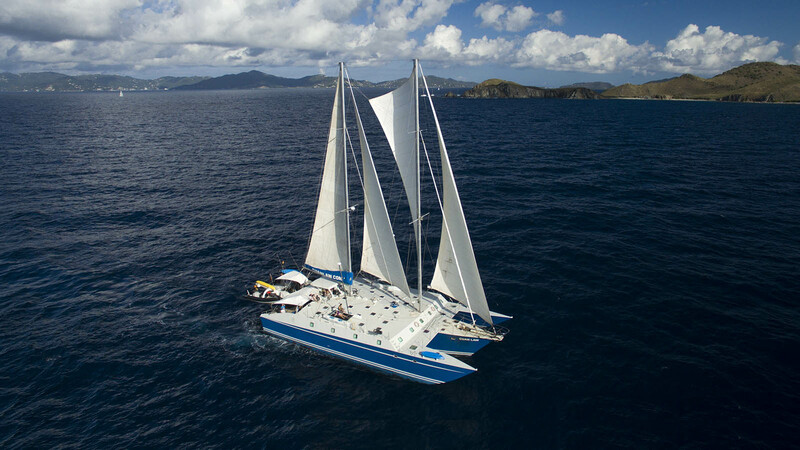 When it comes time to move to the next amazing cay or beach, you'll be able to help our crew set our huge sails if you want to. At sunset, it's probably the most popular place on the boat! This is the lookout spot for whale watching in early spring and for stunning sunsets year round. With so much space to find the perfect vantage point, watching the world go by is a breathtaking activity not to be missed. This is our action area. If you're a diver you'll get suited up here and be handed your tanks all ready to go just before heading off for the next dive. We serve meals here too - breakfast and lunch are expansive buffets and dinner is a slightly more formal plated feast. Although there is a lot of activity here, you'll also find chairs and plenty of shade. 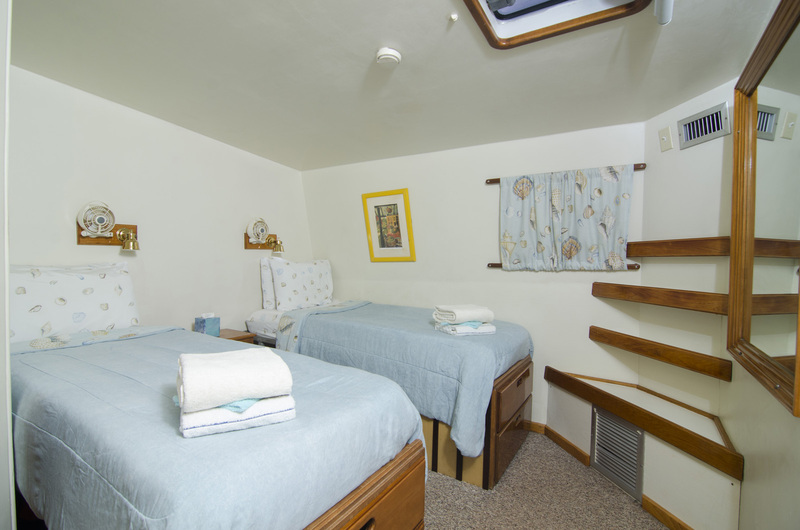 Feel free to take as much time as you want to watch the other guests at play perhaps while sipping a fruity island beverage! 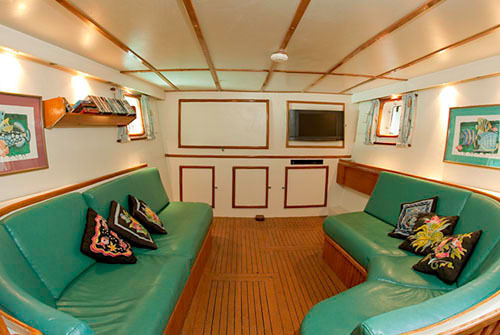 This fully air conditioned and more intimate space seating around 12 serves as a video lounge, a great place for younger guests to relax away from the main group and is also often set aside for photographers to set up their gear. 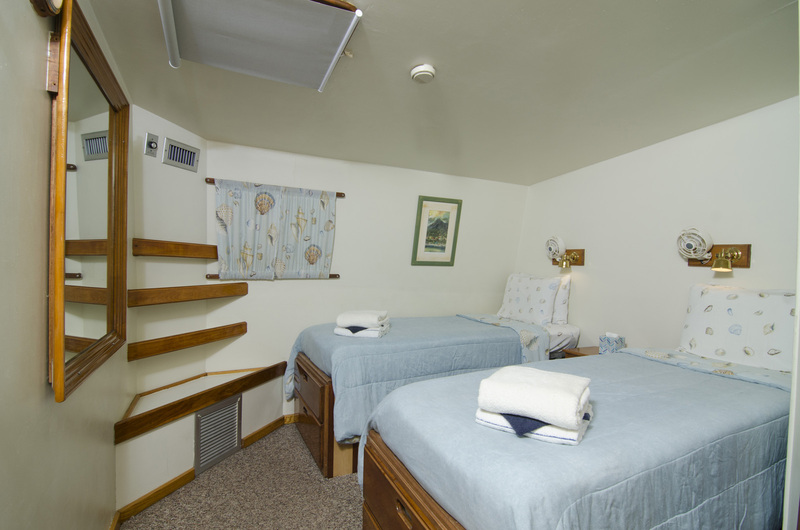 If you need a little time away from all the other activities you'll find air conditioned comfort close at hand. 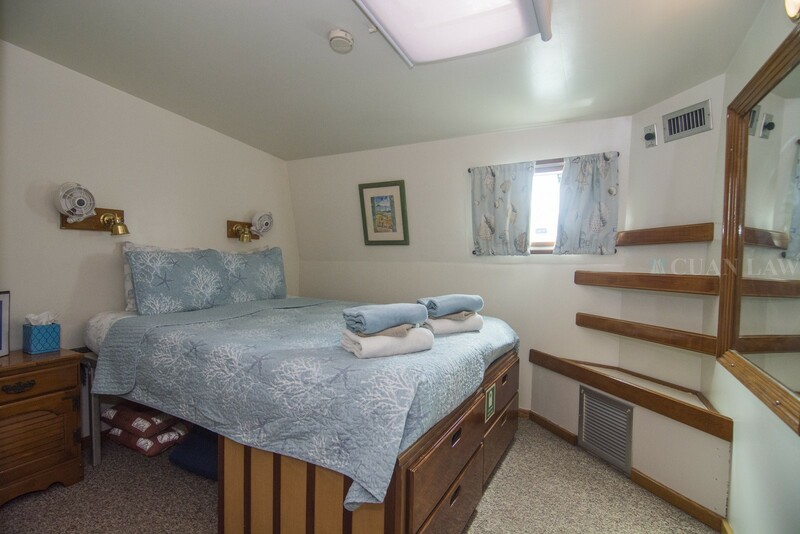 Our aft cabin is close, yet slightly separate from the diving and the main salon. 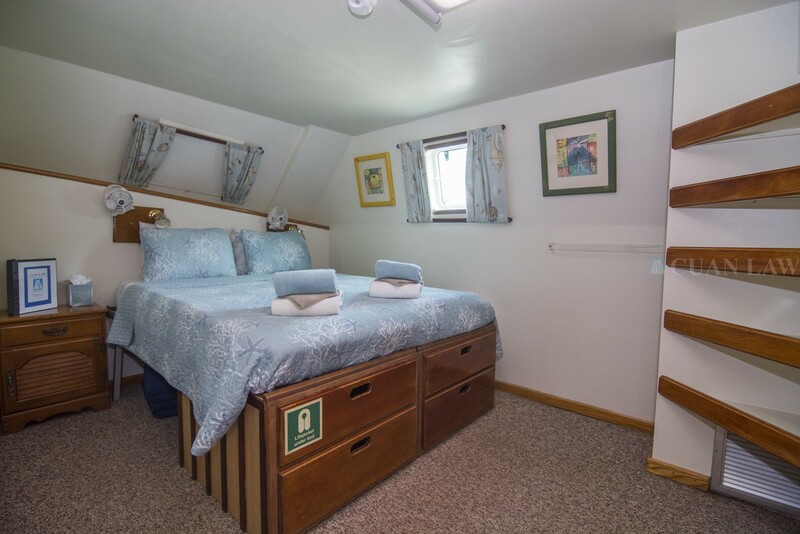 Another Cuan Law oasis waiting for you to enjoy. 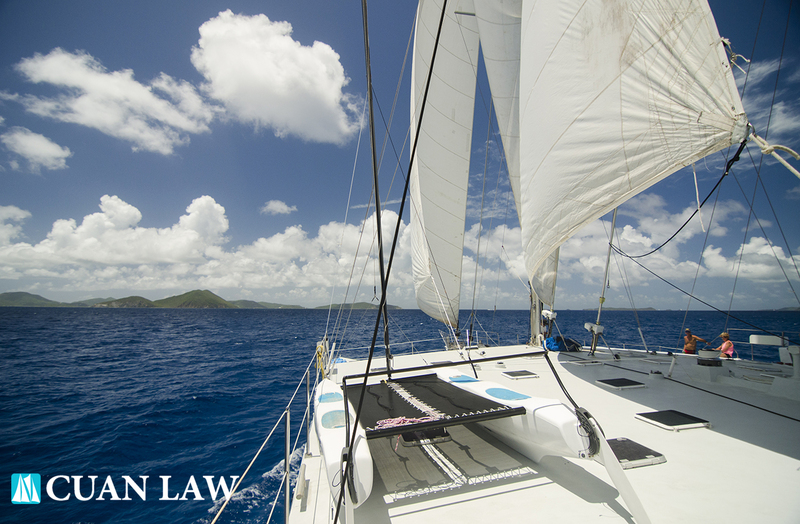 Cuan Law is the ideal place for your BVI sailing vacation. We sail thru the most beautiful waters to explore white sand beaches, secluded coves, and popular snorkel and scuba spots. 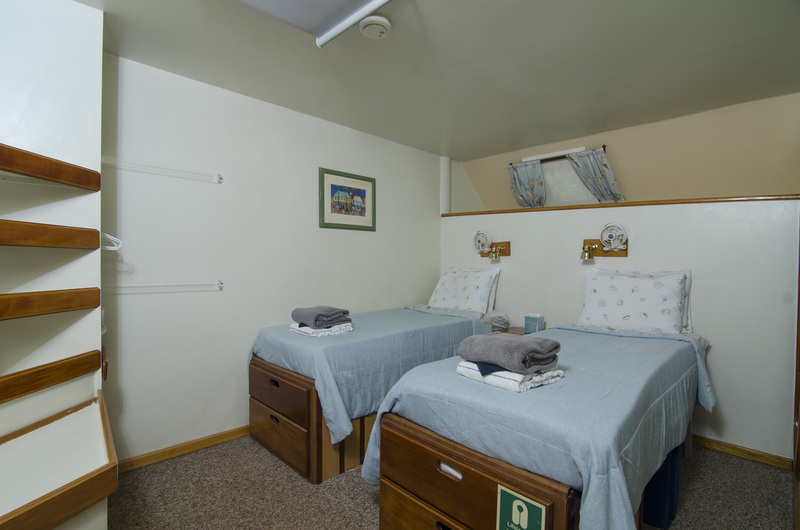 Our comfortable air conditioned cabins and main saloon are perfect to review photos from the day and unwind. Scuba diving trip exceeded my expectations. 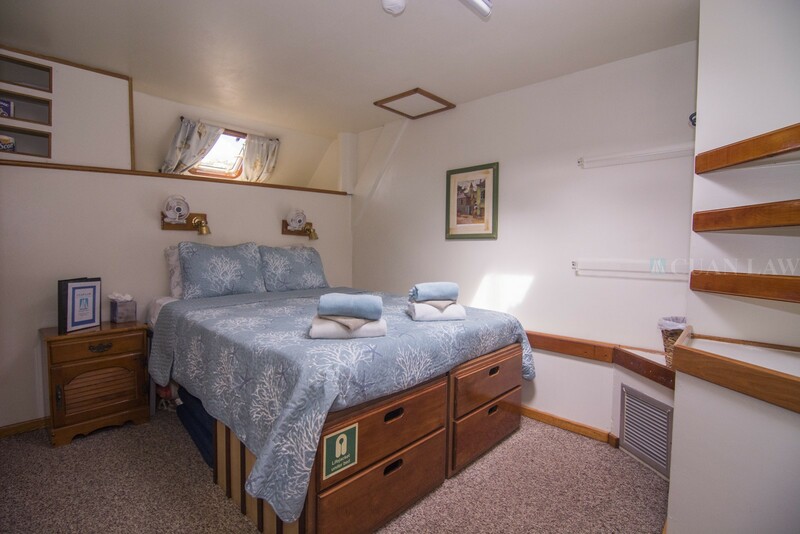 Comfortable room with plenty of places to relax between dives. Varied uniformly tasty meals, helpful crew, beautiful scenery, easy diving. Honestly not enough could be said about our recent trip on the Cuan Law. From the wonderful meals to the beautiful islands and dive sites it was amazing without any downtime. I'm not saying that there wasn't time to sit, relax, tan,or read a book if you wanted. But there were always activities going on and offered by the crew. Seriously, don't miss this one. 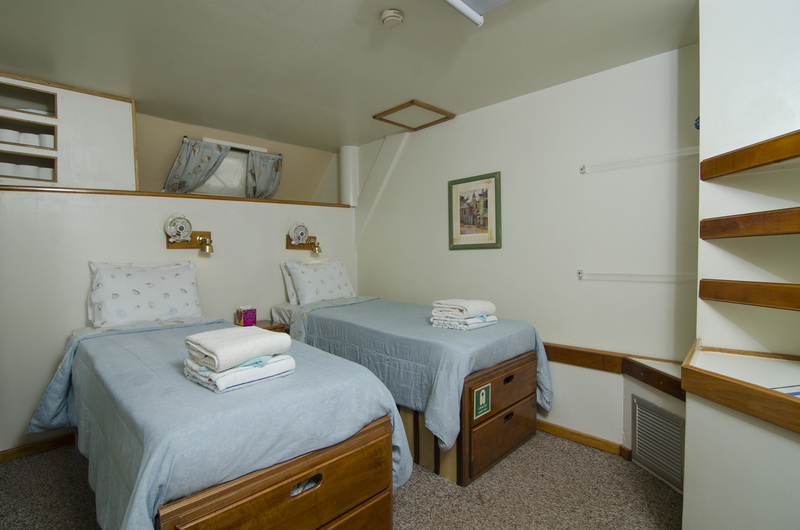 Each cabin can be configured as 1 queen or 2 twin beds. 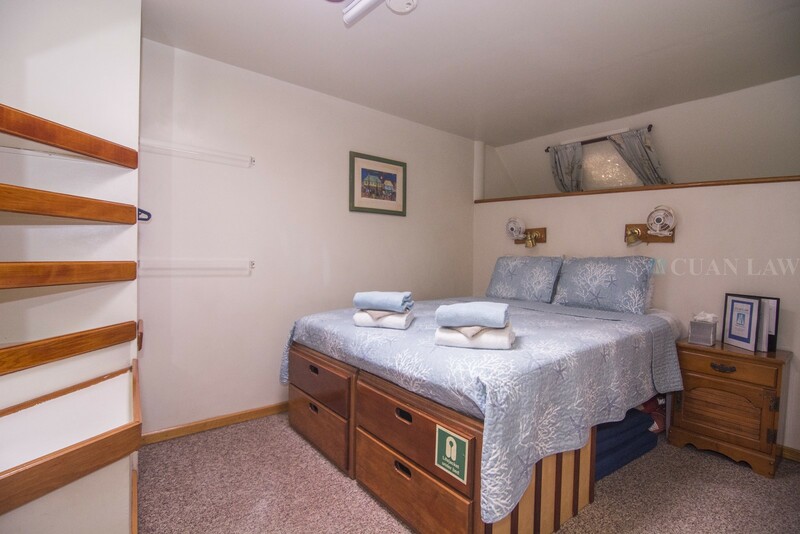 Photos of cabins were taken in February 2018 (post hurricane).